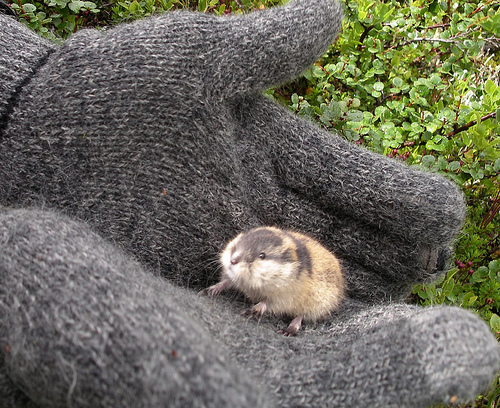 Lemmings are small rodents that primarily live in northern regions. Early zoologists and the more gullible Atlantis seekers assumed that the creatures have been seen committing mass suicide in an attempt to find their ancient homeland, Atlantis. Unfortunately, Frank Joseph[102.51], among others, has chosen to perpetuate this canard. It should be obvious that if Atlantis had been destroyed 12,000 years ago, as Joseph claims, the lemmings should have all died out millennia ago due to their alleged destructive homing instinct. The BBC Focus magazine reported in their March 2010 issue that a Disney documentary White Wilderness made nearly thirty years ago included a staged scene of mass lemming suicide. In reality, lemmings experience population explosions every few years and in an effort to find new food supplies they migrate in all directions. Alas, they are not the brightest animals and consequently, when they encounter the sea they think it is a river and continue swimming until they run out of energy and drown.